I've been noticing a social media spin on making charitable donations in your community, regional, or state. Here's three recent examples. GiveMN a new online resource that hopes to encourage more Minnesotans to give and help create a stronger nonprofit community for Minnesota. 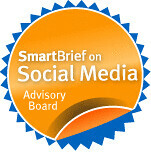 It is designed for both individuals and organizations. Individuals can browse the site and find local nonprofits and make a donation online. Or, if they want, they can launch their own fundraiser for an organization. 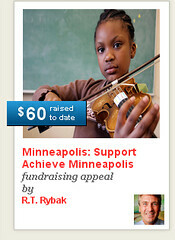 For nonprofits, GiveMN offers simple, secure tools to achieve their goals. The site is powered by Razoo, a giving platform. where any donation to a nonprofit will be matched. This might even inspire a few out of state donors to give to nonprofits in the land of 10,000 lakes where the men are strong, women are good lucking and children above average. Austin is no doubt a caring community. But we don't act on our values by giving more to charitable organizations. National studies consistently find that Austinites give far less to charitable causes than people in other cities. In fact, Austin is ranked 48th out of the 50 largest cities in the nation in per capita giving. The mission of the I Live Here, I Give Here campaign is to change that. The partners are a mix of local foundations and corporations. The site lists local nonprofits and links to a donation page. 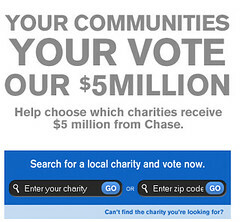 You type in your zip code or name of a local charity and then vote. You get 20 votes. They'll be using a tiered voting system. I tried to find some of my favorites, but upon reading the fine print noticed that only particular types of charities were listed.